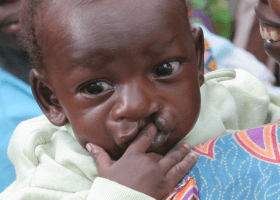 Come and join us for a night of live music to raise funds for Interface Uganda. 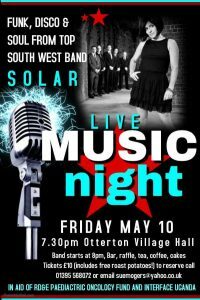 Friday 10th May 7.30pm at Otterton Village Hall in Devon. Thank you to Sue Moger for organising once again the brilliant funk, diso and soul band, Solar. There will also be a bar, a raffle, tea, coffee, cakes and free roast potatoes! Tickets cost £10.